Embark on Oahu’s challenging and beautiful Koko Head hike in the company of a guide on this 3-hour tour. Savor the mountain scenery and tropical landscapes of Oahu’s east side and see some of the island’s most stunning beaches like Hanauma Bay. Your guide will provide fascinating details on Hawaiian history and culture. Hotel pickup and drop-off are included. This hike is also a great workout! You will climb up 1,048 railroad ties before you enjoy the beautiful scenery of Oahu. Pick up at 7am in front of your Waikiki Hotel and head over to the South Eastside of Oahu. Enjoy views of Hawaii Kai, Hanauma Bay, Koko Head Crater, Diamond Head Crater and learn interesting facts along the way. Depending on your fitness it usually takes 30-60 minutes to get to the top. Rest on Top of Koko Head while DanielsHawaii Tourguide explains some of the sights. After our way back down we drop you back off at your Hotel at 10am. Set out on a challenging and informative hike up Koko Head on Oahu’s east side. This 3 hour tour is a perfect start in the day. 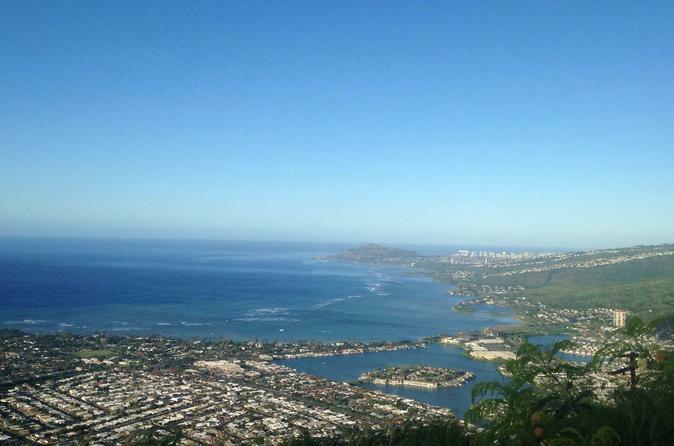 Koko Head Crater hike is known as a great workout with beautiful views from the TOP. Pick up is at 7am in front of you Hotel in Waikiki. From there we drive straight to Koko Head. The earlier we start, the cooler the air is. If you like, our DanielsHawaii tourguide will take pictures and videos during your hike and send you a nice souvenir video after (surcharge). Document your climb up the crater and enjoy the challenge. On our way up you will have enough time to snap pictures and learn interesting facts about Diamond Head, Hawaii Kai, Koko Head Crater, and the Hawaiian Islands from your DanielsHawaii Tourguide. Why is there even a bunker on Top of Koko Head Crater? Listen to stories about Waikiki and Diamond Head while traversing spectacular mountain and tropical scenery. See two of Oahu’s most beautiful beaches and climb approximately 1,100 railroad ties up to the old bunker on top of Koko Head. Once here, take a peek inside Koko Head Crater and savor spectacular views of the Hawaii Kai community stretching out to the Island’s south side. Your guide will carry water to keep you well-hydrated as you go. At the end of the hike, enjoy a ride back to your lodging and be dropped off at 10am.